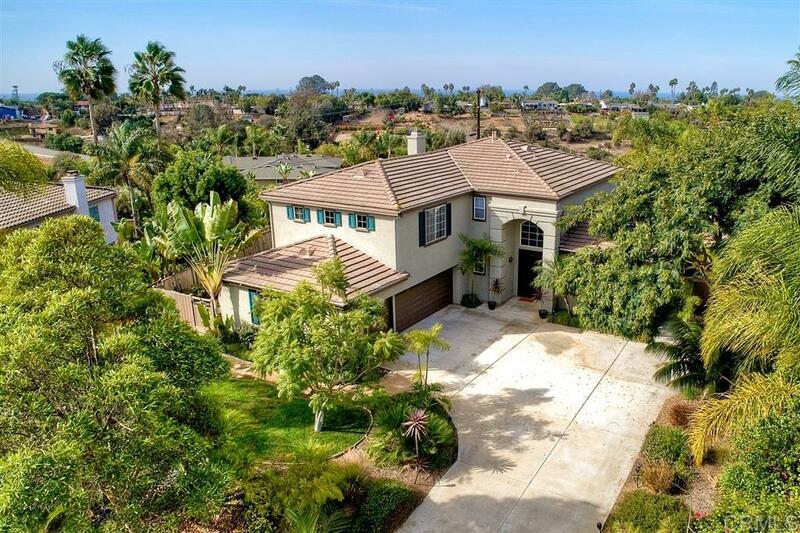 Wonderful lifestyle home in Leucadia, 4bed 3bath on 1/2 acre of lush tropical landscape with pool and spa and impeccable curb appeal in coveted Capri neighborhood cul-de-sac. Tall ceilings, abundant natural light newly updated kitchen, large island, wine cooler. XL MB wing, with 'his and hers' walk in closets. Fully paid solar, and newly remodeled stunning bathrooms and 3 car garage. Entertainer's back yard, mature fruit trees and plenty of space to play. Walk to Capri Elementary and bike to beach/shops!, Rare find traditional home with all the amenities in highly coveted Carpi neighborhood in Leucadia.